This paper presents a new method to animate the interaction of a tree with wind both realistically and in real time. The main idea is to combine statistical observations with physical properties in two major parts of tree animation. First, the interaction of a single branch with the forces applied to it is approximated by a novel efficient two step nonlinear deformation method, allowing arbitrary continuous deformations and circumventing the need to segment a branch to model its deformation behavior. 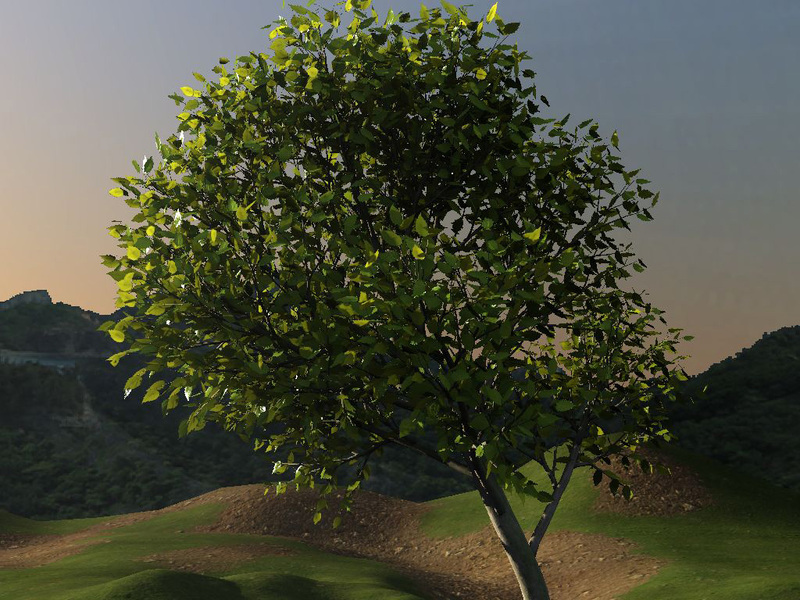 Second, the interaction of wind with the dynamic system representing a tree is statistically modeled. By precomputing the response function of branches to turbulent wind in frequency space, the motion of a branch can be synthesized efficiently by sampling a 2D motion texture. Using a hierarchical form of vertex displacement, both methods can be combined in a single vertex shader, fully leveraging the power of modern GPUs to realistically animate thousands of branches and ten thousands of leaves at practically no cost. physical properties in two major parts of tree animation.